3D Printed Success Kid Can Be Yours | OhGizmo! By David Ponce on 10/29/12 • Leave a comment! Incorporates popular Internet meme? Check. Related to trending field of 3D printing? Check. Can actually be bought? Check. Our ability to turn all that into a funny two-liner that works with Success Kid? Well… we’re still working on it. 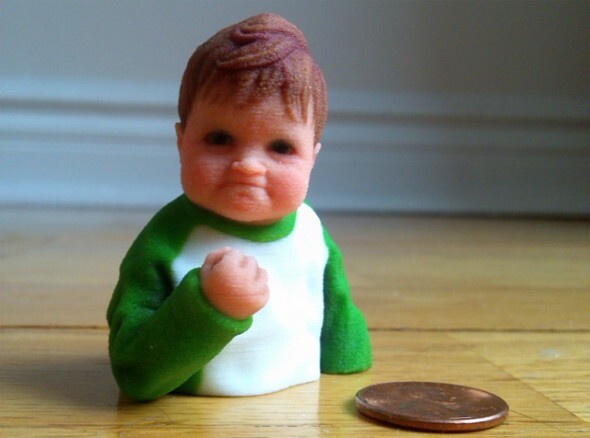 No need to wait for our sense of humour to develop to buy 3D Printed Success kid, though. Parting with $13 at Shapeways will do the trick.